For 2017, Marwe have introduced a stiffer roller ski for heavier skiers (80kg +) and very strong skiers who weight just under 80kg. Cross-country skis have long come with different 'flexes' for skiers of different weights and strengths, but it is unusal for roller skis to come with different flexes. The stiffer frame is available for all Marwe's 'composite' rollerskis, including the Marwe 620XC Skating, 700XC Classic and 590XC Combi rollerskis. We are introducing a version of the SRB SR01 in pink. 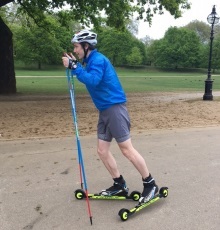 These are excellent, hard wearing rollerskis which we have used for several years, and are among the most popular skating rollerskis for beginners and elite athletes alike. They can be fitted with any bindings, but work particularly well with Rottefella Xcelerator bindings. The SRB SR01's are also available in Blue, Black and Red. 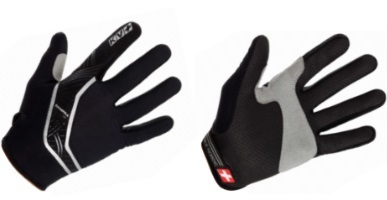 KV+ have introduced new gloves for roller skiing and Nordic walking. These gloves are light and comfortable. In the Summer months it is good to have slightly lighter boots for more comfortable roller skiing. We have a range of Summer rollerski boots from Alpina and Botas. Alpina boots are compatible with all NNN, Prolink and Turnatic bindings; the Botas boots are compatible with the SNS system (Pilot & Profil). 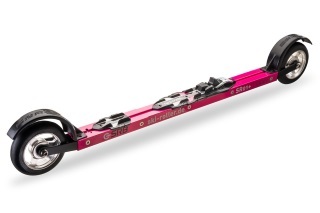 We are offering Start Combi rollerskis - individually and as packages - with a free rollerski bag. 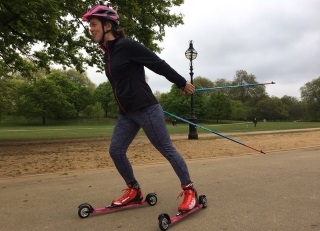 These rollerskis are popular with beginners who have access to good tarmac, and are popular with the Yorkshire Dales and Cairngorm cross-country ski clubs. You can order here - Rollerskis | Packages. For youngsters, our Swenor Skate Junior roller skis come with free Top Trumps playing cards, featuring GB Olympic cross-country skier and roller skier Andrew Young. See - Rollerskis | Packages. Please get in touch if you need any further information or advice on these rollerskis, or any other equipment.